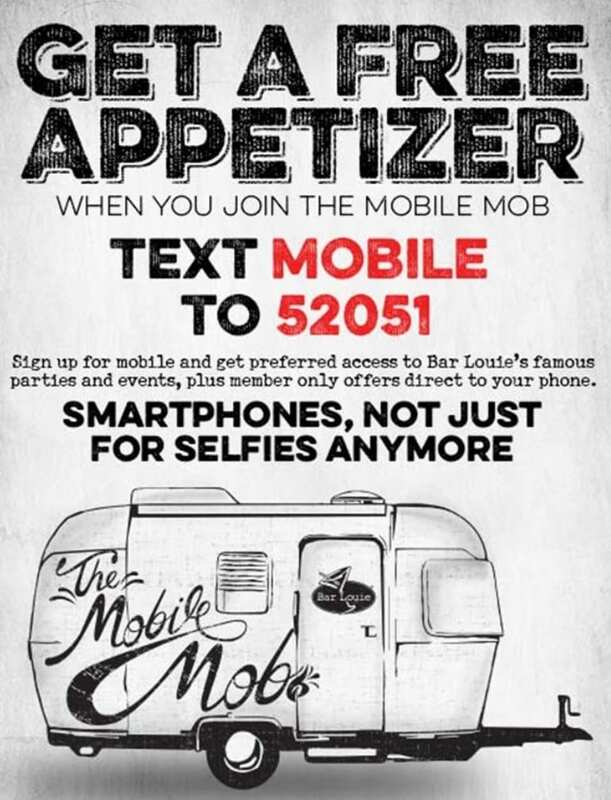 If you love Bar Louie and free appetizers, you may want to join their “Mobile Mob” and text MOBILE to 52051 to receive a free appetizer! You’ll also get invites to events as well as member only offers direct to your phone. Don’t forget that Bar Louie also offers select half-price apps and flatbreads on Monday-Friday from 4-7pm and burgers & fries for $5 on Tuesdays (or $1 burger w/ drink purchase at Patriot Place location) from 5pm to close. Bar Louie is located at 121 Brookline Ave in Boston and at Patriot Place in Foxboro, MA. 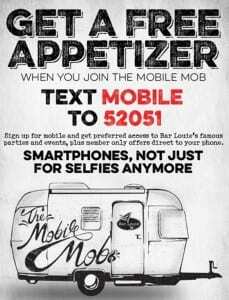 Will you be enjoying a free app at Bar Louie soon?